These are the BMW factory chassis reinforcement plates that came on the E36 M3s (some very early 1994-production M3 models may not have had them). This reinforcement should be done on all non-M E36 models especially when used in track/autocross situations. 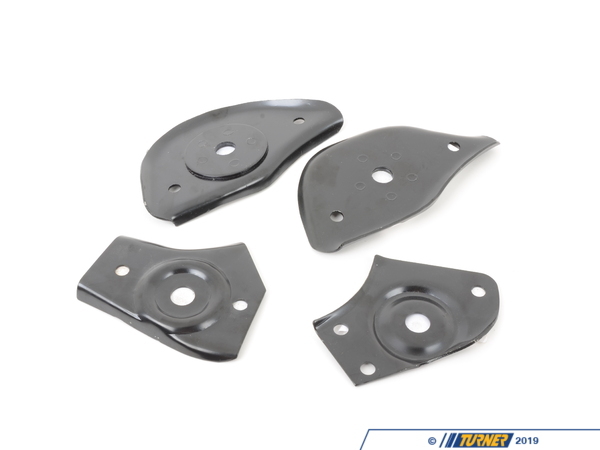 The kit is a set of 4 plates that are added to reinforce the rear subframe chassis mounts. BMW discovered that over time, due to the bending of the rear of the chassis in conjunction with the movement allowed by the rubber bushings in the rear, the chassis mounting points for the subframe would flex, weaken, and if left unattended, rip out of the chassis. The stock mounts are basically a flat plate with an internally threaded tube that are welded to the chassis. The flex of the rear subframe causes the threaded tube and mounting bolt to act as a lever arm at the point where the flat plate is welded to the chassis, weakening the surrounding sheet metal. 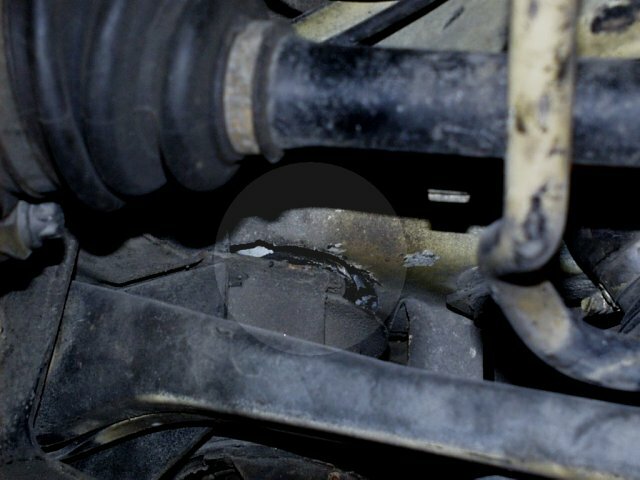 Due to the direction of force of the torque applied by the drivetrain on the subframe, the first mount to rip out is the passenger�s side front mount, followed by the drivers side rear mount. Having these plates welded to the underside of the chassis significantly stiffens the mounts and stops the weakening of them. 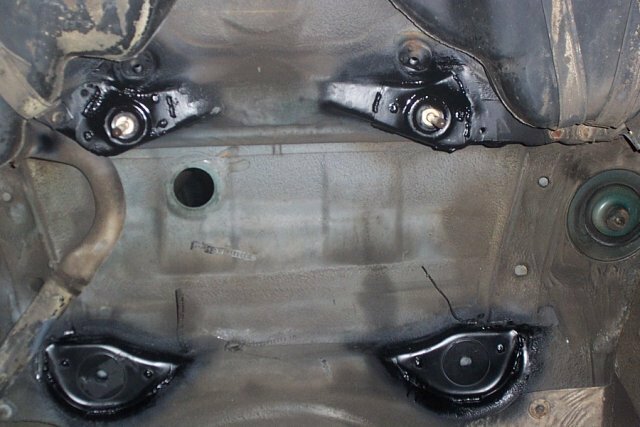 In order to weld these plates in, the rear suspension, rear subframe, exhaust, and driveshaft must be removed. 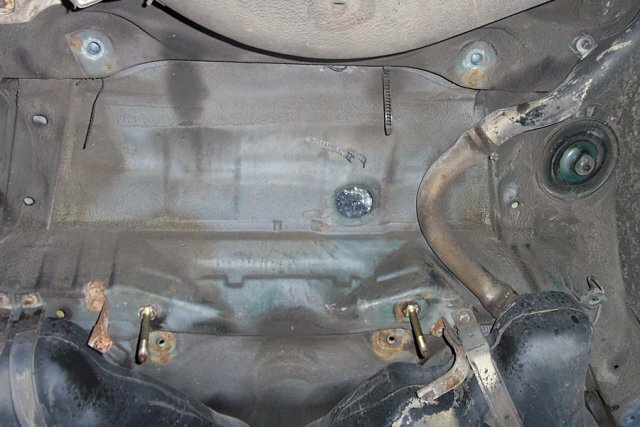 It is also strongly recommended that the back seat, rear interior, trunk interior, and fuel tank are removed and all fuel lines are capped to reduce the fire hazard while welding. all 1996-1999 M3s should have these reinforcements. Only early 1995 M3s are in question. These are the BMW factory chassis reinforcement plates that came on the E36 M3s (some very early 1994-production M3 models may not have had them). This reinforcement should be done on all non-M E36 models especially when used in track/autocross situations. 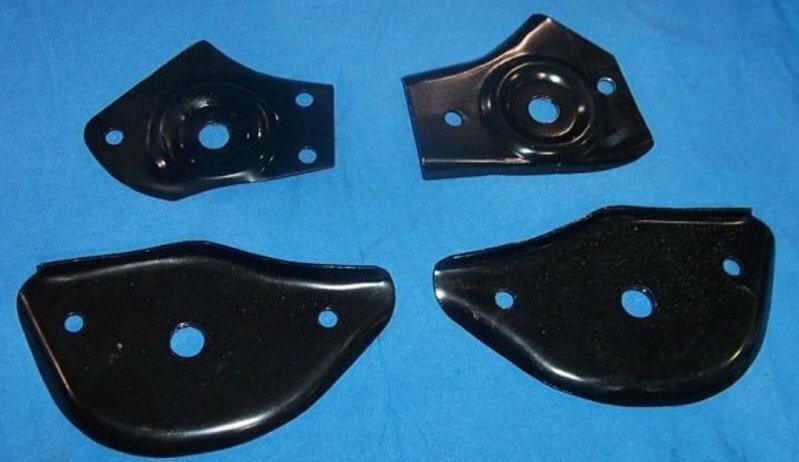 The kit is a set of 4 plates that are added to reinforce the rear subframe chassis mounts. BMW discovered that over time, due to the bending of the rear of the chassis in conjunction with the movement allowed by the rubber bushings in the rear, the chassis mounting points for the subframe would flex, weaken, and if left unattended, rip out of the chassis. The stock mounts are basically a flat plate with an internally threaded tube that are welded to the chassis. The flex of the rear subframe causes the threaded tube and mounting bolt to act as a lever arm at the point where the flat plate is welded to the chassis, weakening the surrounding sheet metal. Due to the direction of force of the torque applied by the drivetrain on the subframe, the first mount to rip out is the passengers side front mount, followed by the drivers side rear mount. 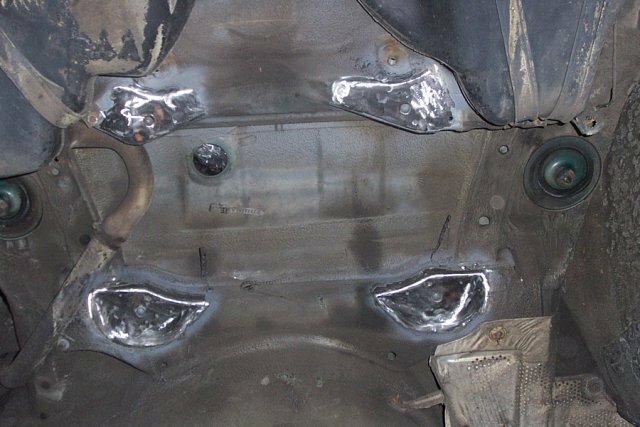 Having these plates welded to the underside of the chassis significantly stiffens the mounts and stops the weakening of them.